Paisley's Purpose is raise as much awareness and funding as we can for childhood cancer research! 4% government funding is NOT enough! Our kids deserve better and we need to find a cure! Wear this shirt to childhood cancer and honor Paisley Wright! Paisley Wright was just 17 months old when she lost her battle with Leukemia on My 5, 2015! She was diagnosed at only a few weeks old! Paisley received chemo treatments for her cancer. Chemo that was designed for adults since research has not gone far enough to develop a chemo for children! It can be very harsh are their little bodies! 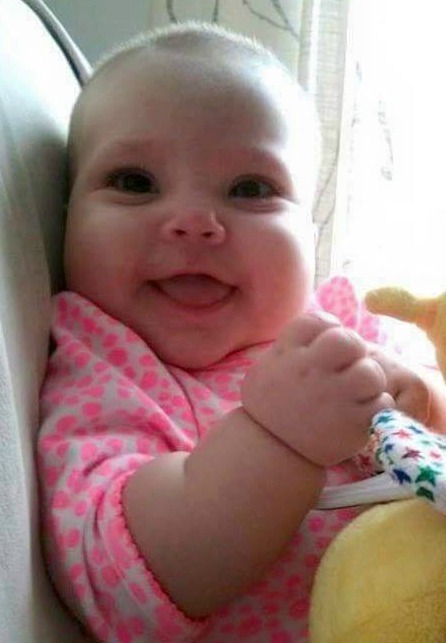 Paisley was such a beautiful baby , full of life and happiness! Always such a fighter! She brought a smile to everyone's face that she met, and left an imprint on their hearts! Paisley and her mom Samantha have become such an inspirations! Samantha does not want any other parents to lose a child to cancer. She would like to raise as much awareness and funding as she can so a cure can be found! Everyone needs to be aware that childhood cancers are very different from adult cancers. Different treatments are needed, so more research needs to be done! Currently childhood cancers receive less than 4% of government funding towards research! Our kids deserve more then that! So please buy a shirt and help spread the awareness that childhood cancer deserves. Lets find these kids a cure! Wear this shirt proud and honor Paisley Wright!